Social Tables — How do I seat my attendees? How do I seat my attendees? Once you've created your event setup, importing and seating your attendees is a great way to guarantee on site success when your attendee's arrive! 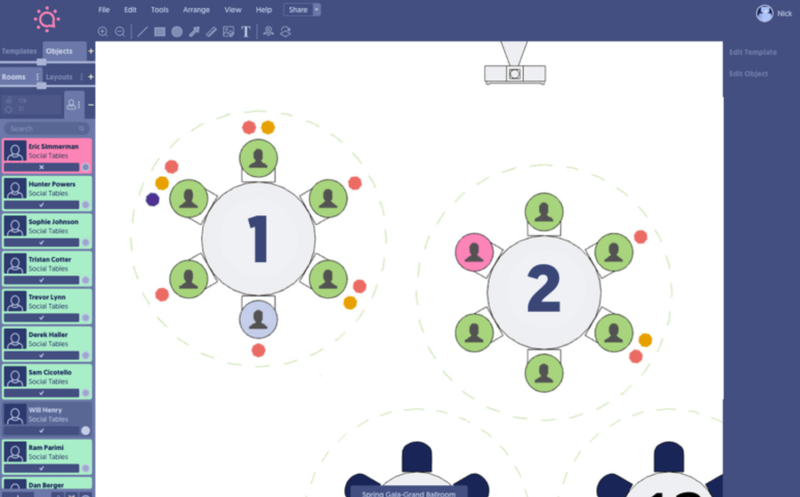 You'll be able to create a visual Seating chart with all the attendee information you could possibly need! Think meals, titles and other customizable tags! You can find more information on Seating here. It's as easy as clicking and dragging your imported attendee's to their seats! Depending on your package, you may or may not have access to the full Seating portion of Social Tables. You can find your account type by accessing the Account Settings tab in the top right hand corner of your account. 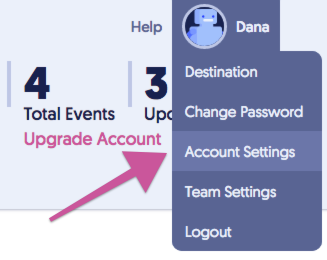 If you don't have an Account Settings tab, contacting your Customer Success Manager or our support team would be the best next step! Ready to upgrade? Check out your options and make your purchase here! Why can I only add 250 attendees in the Check-In App? Why can't I see the 3D view of my event?